Since humans have existed, they have looked up at the night sky and wondered if they were seeing into forever. As our technology and understanding developed, we realized that to gaze into space was to look back in time, that much of the light streaming down on our planet had been traveling through the darkness for billions of years. That if we knew how to look, we could see the drifting radiation of the Big Bang itself. The Hubble Space Telescope has pushed humanity’s view of the universe back to within 435 million years of the Big Bang, bringing us views of the earliest objects in the cosmos. And now it intends to extend its reach even farther, beyond its technical capabilities into regions of the universe never before witnessed. We call this effort Frontier Fields. Hubble will achieve this unprecedented look into the cosmos with the help of giant cosmic lenses in space. It sounds like science fiction. It sounds — to say the least — cost-prohibitive. But the fact is that we don’t have to build these lenses – they already exist. The immense gravity of massive clusters of galaxies warps the light from even-more-distant galaxies beyond, distorting and magnifying the light until those galaxies — too faint to be seen by Hubble directly — become visible. Frontier Fields combines the power of Hubble with the power of these “natural telescopes” to reveal galaxies 10 to 100 times fainter than any previously observed. Hubble has probed cosmic lenses before, but this concentrated effort will devote 560 orbits around the Earth — that’s 630 hours — to six clusters of galaxies, chosen based on features like the strength of their lensing, their ability to support complementary observations by telescopes like the Spitzer Space Telescope and the upcoming James Webb Space Telescope, and the avoidance of bright stars whose light would obstruct the faint light from distant galaxies. In addition, Hubble will put its multiple cameras to use during the cluster observations by also observing six “parallel fields” — regions near the galaxy clusters. While these parallel fields cannot be used for gravitational lensing, Hubble will use them to perform “deep field” observations — long looks far into the depths of space. The observations of these 12 regions will occur over the course of three years. In a nutshell, the cluster observations will use the power of gravitational lensing to allow Hubble to peer deeper into space than ever before, while the parallel field observations will expand upon our investigations of the early universe that began with the Hubble Deep Fields and Hubble Ultra Deep Field. All the information gathered will be immediately made publicly available, allowing the astronomical community to delve instantly and deeply into this new treasure trove of scientific data. These images will produce the deepest observations of galaxy clusters and the “lensed” or magnified galaxies behind them ever taken. They will help us understand how galaxies evolved during the time period when a dark, opaque, hydrogen-filled universe was slowly becoming reionized and transparent to light. They will help trace the history of star formation and the growth of stars. They will provide previously unknown measurements of the mysterious material known as dark matter within massive galaxy clusters. And they will give us an early glimpse of the work that will be accomplished by the James Webb Space Telescope upon its launch in 2018. Meet the Frontier Fields galaxy clusters. 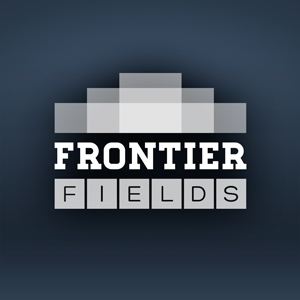 Do you have questions or feedback about Frontier Fields? Let us know.